Ramola withdrew from the public eye at the peak of her stardom, choosing a life of quiet anonymity over the glamour of the silver screen. Surrounded by retired couples spending their twilight years gardening and gossiping, Ramola s life is idyllic. Or at least it was, till the night of her birthday party, when she announces that her tell-all memoir will soon be published. The book, documenting her rise to fame, puts each of her ex-lovers careers in jeopardy. As each desperate man tries to save himself, Ramola is drawn back into the very web of lies and deception she d left behind. And by the time the party is over, Ramola s neighbour, retired army officer and amateur sleuth Colonel Arjun H. Acharya has found his first murder to solve. A Closetful of Skeletons reels you into a cosy world of fresh mountain air, long-drawn poker games and bloody murder. Ramola is a famous actress who retired at the peak of her career and decided to live in Charmwood Cottage in Ramsar, which is a quiet and beautiful place. She decides to write her memoir about her life with her ex-lovers including Sammy who is a famous politician, Arif who is a don, Vikram Ahuja her ex co-star, Subroto Sen her director and Rohan who is his husband but living separately from her. Ramola meets Tia, a journalist from Mumbai. 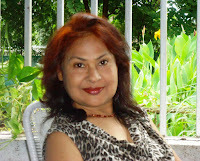 They become good friends and Ramola also provided her accomodation in her cottage and not just this but also gives her work to help her in writing her memoir. Tia gives Ramola an idea to invite all the men in her past to be part of her guest list on her 40th birthday party and reveal the news of publishing of her memoir. The story starts with Ramola making phone calls to all these men. The introduction of each person is given in the starting to avoid confusion. All these men attend her birthday party and the announcement of her memoir shocked everyone. Movie director, the politician stood to loose their reputation if her book hit the stand. The scandalous disclosure could slaughter their career. This book could ruin the life of many people so each of them tries to stop this book to hit the shelves in their own way. 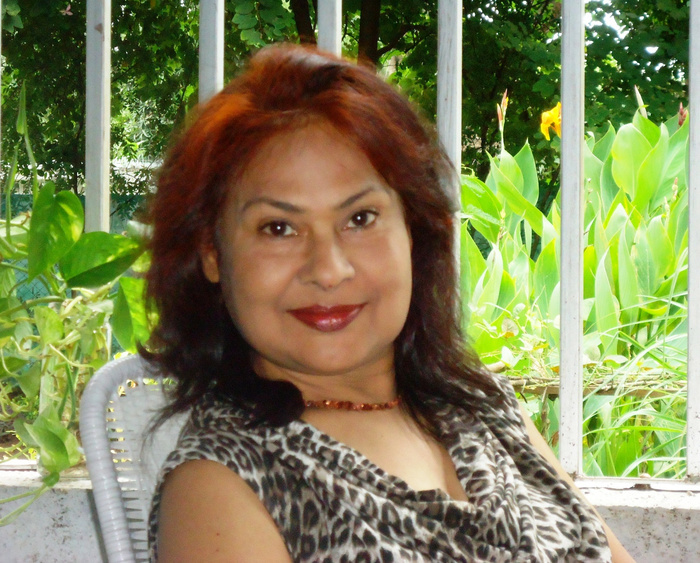 Ramola is found dead and then Colonel Acharya and Tim tries to solve this murder mystery. What I liked the most in this book is Author's way of maintaining the suspense till the end and it made readers guessing who the murdered Ramola. I found the book really interesting. I loved the writing style of the author. The language used is simple and easy to understand. The title is apt and the cover of the book is attractive. I would highly recommend the book to all mystery lovers. Maverick writer, wanderer and rainbow chaser, Tanushree Podder's flirtation with words began quite early in life. 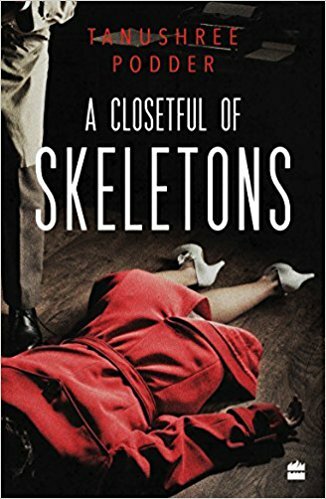 An author of several successful books like Nurjahan's Daughter, Escape from Harem, Boots Belts Berets, On the Double and Solo in Singapore, she is all set to woo her readers with a murder mystery titled A Closet Full of Skeletons. Love the cover of this book.